MELVILLE, N.Y., July 31, 2014 - Canon U.S.A., Inc., a leader in digital imaging solutions, today unveiled six new models in its imagePROGRAF lineup: four new five-color, large-format inkjet printers - the 36-inch iPF785 and iPF780 models, and the 24-inch iPF685 and iPF680 models - and two new large-format imaging systems - the iPF785 MFP M40 and iPF780 MFP M40. These devices offer faster printing speeds and lower operation costs as compared to their predecessors, as well as upgraded software for an enhanced user experience particularly in mobile and cloud based printing applications. B&H carries Canon imagePROGRAF large format pritners. Note the noun: ‘manager’. Mark George is not an agent. He hates the word, and shuts me up in a puff of cigar smoke as I sit down and sip my coffee. 'An agent to me sounds like someone who just gets you bookings, like a rep. I hate that term. I might represent somebody in a managerial way but there is a difference. I look after people who are too focused on what they do to understand that the world around them needs looking at as well. And that’s where I come in.'" Read the entire article at the Canon Professional Network. Karl Taylor has posted a three-part video intereview series where he explains the lighting setups for several of his images. He does a good job of explaining the motivation behind his light modifier choices and placement. Even though the series was sponsored by Broncolor to promote their specific lighting products, you can apply many of these lighting techniques using whatever flash gear you're currently using (assuming you have similar modifiers). Manually select the profile and choose “Save New Lens Profile Defaults” in the Setup menu on the Profile tab. From then on, the lens should automatically select when the profile is enabled. Improved performance when batch processing images via the Save button (in Camera Raw) and when converting images to DNG (in DNG Converter). The performance improvements are available only on 64 bit systems. B&H carries Adobe Lightroom 5. 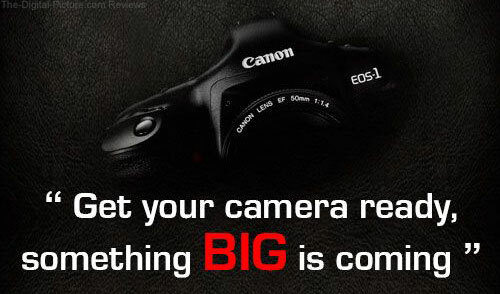 Canon India posted a teaser this morning with the message, "Get your camera ready, something BIG is coming." The teaser seems to indicate a new big white lens will soon be announced...but that may not be an accurate interpretation. What do you think it is? Macro lenses are among the most-fun lenses available and the Canon Macro Ring Lite MR-14EX II Flash makes getting great images with these lenses very easy. 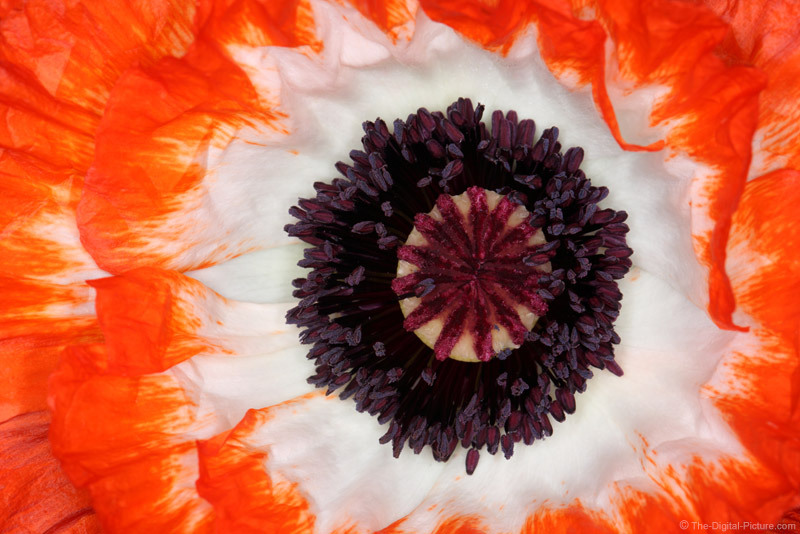 The poppy is an especially big challenge to light from a top-down orientation. There are very few good methods to get light around the end of a macro lens without creating unwanted shadows deep inside this flower. The macro ring lite, with a pair of circular flash tubes positioned at the end of the lens, wraps a light around the flower's significantly-raised pistil while avoiding shadows created by the also-significantly-raised petals. This result is what I was looking for. The lighting is somewhat flat, but there is plenty of color and detail in the poppy to keep me satisfied. This was a very easy picture to capture with the ring lite mounted. Watch for a full review of the Canon Macro Ring Lite MR-14EX II Flash coming soon. B&H has the Canon Macro Ring Lite MR-14EX II Flash in stock. The new Radiopopper Jr2 Transmitter and Receiver are now available for purchase at B&H (with shipping in 3-7 business days). In this video you'll learn about handheld and shoulder rigs ideal for use with EOS HD SLR cameras. In this video you'll learn about a brief explanation on external audio recorders and on-camera 'reference audio' in video production. B&H carries DSLR video gear. This is the Capture NX-D 1.0.1 software download - This is a update installer for Windows systems only. When the 64-bit Windows version of the application was used to create JPEG-format files converted from RAW (.NEF/.NRW), TIFF, or JPEG images using the Convert Files... or Run Batch Process... option in the File menu, a gray band was sometimes visible at the bottom of the images when they were opened in the 64-bit Windows version of Capture NX-D. This issue has been resolved. Download Capture NX-D 1.0.1 for Windows. 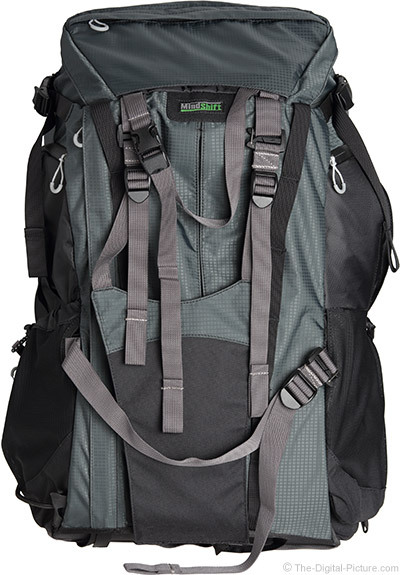 The MindShift Gear Rotation 180 Pro is very high quality-constructed camera backpack with a very usefully-innovative design. It is also the most comfortable pack I've use to date. Get your MindShift Gear Rotation 180 Pro at B&H or directly from MindShift Gear. B&H has the Canon PowerShot SX520 HS and PowerShot SX400 IS available for preorder. 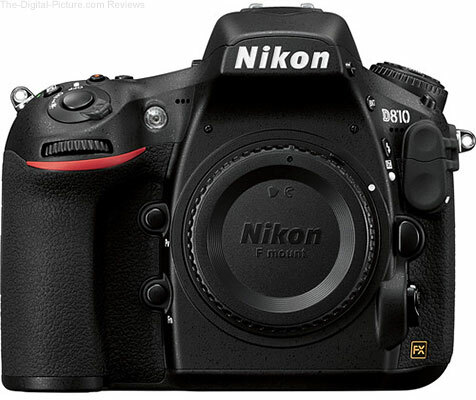 B&H has receive limited stock of the Nikon D810 DSLR Camera. Don't wait to Add to Cart if this item has been on your Wish List. Now is the time that the annual fair rolls into towns across in middle Tennessee. This year I finally remembered to bring my camera and tripod. Pack your widest focal length lenses and a tripod. Arrive at the fair well before sunset. Scout out the midway and find the optimal spots for shooting your images. The best opportunity for capturing images will come moments after sunset where the ambient light level and the amusement ride lights are well balanced. Have your gear set up for your first shot as the sun is dropping below the horizon. Work fast. You may only get about 15 -25 minutes of optimal working time if hoping to capture detail in the sky. Although somewhat counter-intuitive for low-light photography, use a narrow aperture and a low ISO allowing for the use of a relatively long shutter speed. The long shutter speed will allow the ride lights to blend together and will also allow people moving directly in front of your camera not to be recognizably recorded. Post processed with Photoshop CC. Amazon is listing the Canon EOS 7D as "DISCONTINUED." Does this – along with Canon's steep Refurbished discounts – mean that Canon is clearing inventory ahead of a DSLR announcement? Phil Hart, David Malin Astrophotography Awards winner, guides you through the simple star portrait, star nightscape, star trails and star time lapse settings of Canon's ultimate compact camera - the PowerShot G1X Mark II. B&H carries the Canon PowerShot G1 X Mark II.